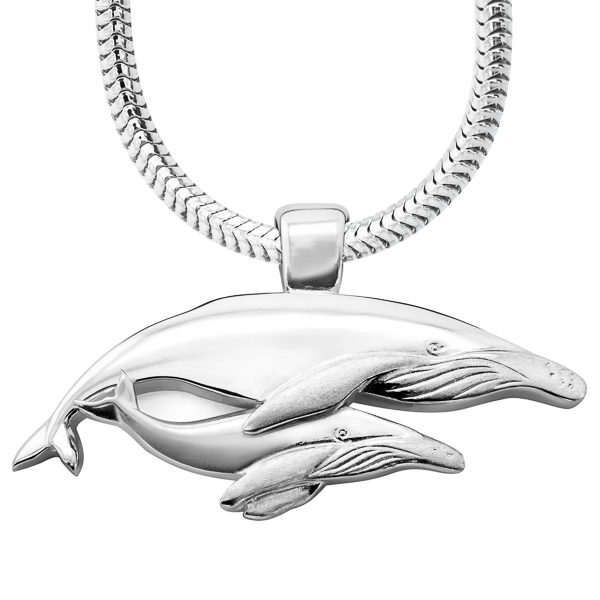 This jeweled whale tail pendant necklace is a true treasure of any collection, highly polished and set with 24 brilliantly glittering gemstones (Swarovski crystals for the silver pendant and genuine diamonds in the gold). Available in sterling silver or 9 carat yellow gold (white gold and other metals available on request). Silver pendant comes on a thin sterling silver snake chain necklace in our signature World Treasure gift pouch. Gold pendant comes with a complimentary gold coloured silk cord as well as a World Treasure gift box and bag. Free shipping worldwide on all orders.